Safety has top priority wherever flammable media are used in industry. This applies in particular to the chemical industry, where flammable liquids are produced, processed and transported by pumps in hazardous areas. If the pumps start to run dry, hazardous conditions may arise inside and outside the pumps, such as air-gas mixtures, sparking and high temperatures caused by friction. The power consumption of electrically-driven centrifugal pumps falls in the event of dry running, so Simocode pro switches the pumps off when consumption falls below a minimum value. This eliminates the installation of conventional monitoring devices, such as level sensors. 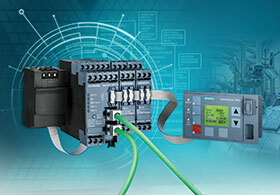 The Simocode pro motor management system offers comprehensive protection, monitoring and control functions for the safe disconnection of motors, integration in process control systems, such as Simatic PCS 7, and a large number of interfaces for system-wide communication. Simocode pro makes detailed operating, service and diagnostic data, as well as process and measured values available to higher-level systems and cloud solutions. A new type of detection technology was recently introduced by Siemens to protect centrifugal pumps in hazardous areas from dry running. For this purpose, the company developed special current/voltage detection modules for its Simocode pro motor management system. The principles and practical applicability of this technology have been investigated within the scope of a research cooperation project with the Physikalisch-Technische Bundesanstalt (National Metrology Institute of Germany) in order for it to be certified as an ignition source monitoring device corresponding to a type b1 ignition protection system, according to ATEX and IEC Ex. Simocode pro uses measuring modules to monitor the active electric power consumption of the pump motor to detect a diminishing flow rate and shut off the pump in good time at defined limit values to prevent impending dry running. Additional sensor technology otherwise required to monitor the pump for dry running can be eliminated. A menu-guided teach-in procedure in the engineering software helps the user to set the limit values. The advantages of the new type of active power-based dry running protection from Siemens are not only less hardware, early detection of faults and the avoidance of damage to the pump, but also safe, reliable explosion protection, savings in time and money spent on maintenance, as well as higher system availability and economic efficiency.